Melbourne is Australia’s bar capital and hub of live music—often called the country’s “European enclave”. The central business district not only serves its after-work drinkers, but also attracts a young, trendy crowd. Many of the city’s smarter bars are tucked away in the city’s numerous narrow lanes. Across the Yarra River, Southgate provides the arts precinct with a strip of bars and riverside views. With plenty of culture, activities, art exhibitions, and live music, you could easily spend over a week here and not regret it. 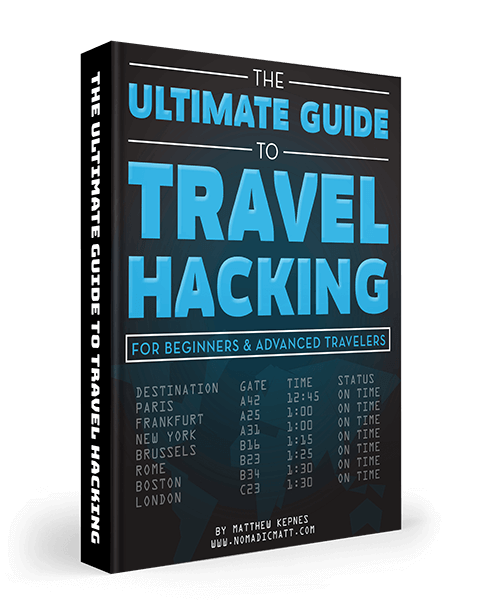 Heck, you might end up like so many other travelers and never leave! This travel guide for Melbourne can help you figure out everything you need to know! This is my favorite city in Australia and most people have a hard time leaving it’s so good! I love the tours run by graffiti artists from Blender Studios. It’s pricey at $69 AUD ($49 USD), but the price helps support local artists and includes drinks. You’ll learn about the art scene in the city and develop a deeper appreciation for why Melbourne attracts so many artists into its orbit. I can’t recommend this tour enough. 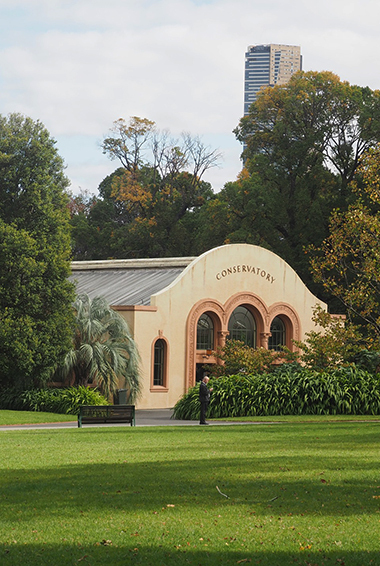 Fitzroy Gardens is one of Melbourne’s most historic and beautiful gardens. Created in 1848, this is a Victorian-era garden is meant to look like the English gardens the early settlers left behind. A free guided walking tour departs from the visitor center every Saturday at 10am. 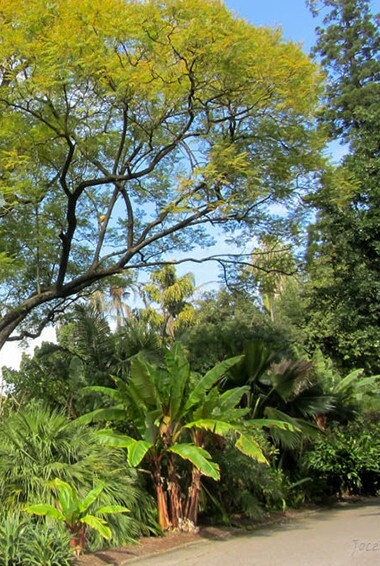 The Royal Botanic Gardens contains gardens covering 86 acres and feature thousands of flowers, shrubs, and trees from across the country and around the world. Hanging out here and wandering around is one of my favorite activities in Melbourne! Free guided walks or self-guided audio tours are available from the visitor’s center. 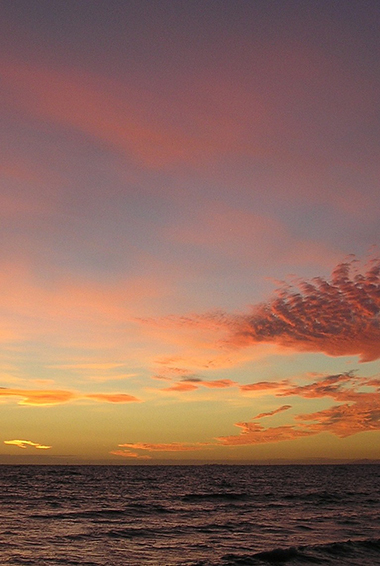 Down in St. Kilda, you can head to the beach to watch the sunset. It’s a beautiful, wide beach, but the water is a little too cold for me! However, it faces due west, so you get some stellar sunsets before you head out for a night on the town! This outdoor market is a mix of food sellers and knick-knack vendors — think flea market meets food market. During the week, the food hall is the main draw, but the weekend offerings are bigger, as sellers fill up the outdoor vending space. When you’re in the food hall, be sure to get some free wine samples from Swords Wines. The café culture in this city is part of its soul. Everyone here loves to have coffee or tea and a snack while doing some work or chatting in some arty café. Don’t miss doing this either. You can take the café tour with Melbourne Coffee Tours or Café Culture Walk to learn more about why Melbournians love their cafés so much and then spend an afternoon with a good book at your new favorite spot. I really enjoy the café 1000 £ Bend in the CBD. More than just a means of free transportation, the City Circle Tram provides “hop on, hop off” service between Melbourne’s sightseeing attractions, including Federation Square, the Old Treasury Building, Parliament House, and the Princess Theater. There’s a running recorded commentary as you pass or stop at a place of historical, cultural, or architectural significance. Flinders Street Station is a major landmark and popular meeting place in central Melbourne. Built in the late 19th century, the station features Victorian architecture and large clock faces. It is said to be the busiest suburban railway station in the Southern Hemisphere, and it’s a lovely imposing building to admire. Right along the route of the free City Circle Tram and across the street from Flinders Street Station lies Federation Square. This open square also serves up stellar people-watching. I like to take lunch here and just watch the city go by. Below the square on the river are also a number of restaurants and outdoor bars. Located in Federation Square, this is the home of the National Gallery of Victoria’s Australian art collection. Admission to the permanent collection is free (but fees apply to special exhibitions). It’s one of the best free activities in the city. The collection only takes a couple of hours to see. It’s open daily from 10am-5pm. The State Library of Victoria is a historic institution that sees 8 million visitors a year. Originally built in 1856, the library has grown into an event space that’s a source of pride for city residents. Come here before it opens and you’ll see a queue of people ready to pounce on the open desks. The famous central rotunda with its octagonal shape, original dark wood furniture, and book-lined walls is definitely something not to miss. There are a number of free tours of the library to teach you more about its history and striking architecture. It’s open 10am-9pm Monday-Thursday and 10am-6pm Friday-Sunday. Now over 160 years old, this estate is a mix of classic Italianate architecture and Australian regency, and it is considered the best of the historic houses in the city. It costs $15 AUD ($11 USD) and it’s open 9am-5pm every day (except Sundays, when it opens at 10am). The Immigration Museum is located in the Old Customs House and primarily features relics of Australia’s immigration history. I really enjoyed learning about the people who left their homes to move to Melbourne and, knowing the current political situation, found it slightly ironic, given that Australia, like the US, has recently become very outspoken about keeping its doors shut. It’s open daily from 10am-5pm and costs $15 AUD ($11 USD). The Melbourne Museum showcases Australian social history, indigenous cultures, science, and the environment. It’s located next to the Royal Exhibition Building and Carlton Gardens. The highlight of the museum, for me, was the extensive Bunjilaka Aboriginal Culture Center, which highlighted aboriginal culture, art, and history. It’s open daily from 10am-5pm and costs $15 AUD ($11 USD). Wine tours are very popular in this area. The Mornington Peninsula is a famous wine-producing region about 45 minutes from Melbourne and is home to more than 40 wineries. There are a lot of day trips available to the Yarra Valley too (which is where most tours take you). If you don’t have your own car or don’t feel like spending the night in the area, day trips from Melbourne cost $150-200 AUD ($110-143 USD). Located a few hours from the city, Phillip Island is a weekend hot spot for locals looking to enjoy some beach time. The island is renowned for the nightly penguin parade (when thousands of penguins return from the sea to nest), its koala sanctuary, and the huge seal colony that lives offshore. The island can be visited as a day trip, but due to infrequent buses, I would recommend spending at least a night here! The trip there costs about $15 AUD ($11 USD). For more information on specific destinations, check out these guides! Hostel prices – Dorm rooms with 8-10 beds are about $25 AUD ($18 USD) and smaller dorms (4-6 beds) are around $30 AUD ($21 USD). Private rooms that sleep 2 range from around $85-120 AUD ($60-85 USD), depending on things like shared bathrooms vs. private bathrooms. Most hostels included linens and WiFi in the price and many offer free breakfast. 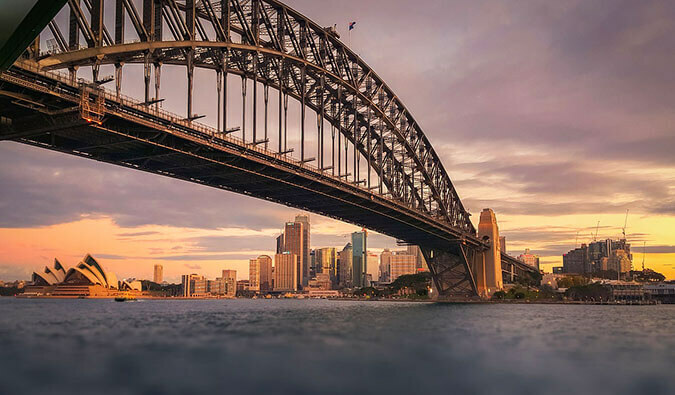 Budget hotel prices – You’ll find a bit of everything in this large city, with doubles starting at $120 AUD ($85 USD) per night. A room that sleeps 2 in a centrally-located 2 or 3-star hotel is about $220 AUD ($157 USD). These rooms include air-conditioning, a private bathroom, and a TV. Many hotels also offer free breakfast. There are a lot of Airbnb options in this city and they are much more economical than a hotel! On Airbnb, a shared room in a home averages about $29 AUD ($20 USD). You can find whole apartments starting around $100 AUD ($71 USD). Average cost of food – You can easily find pizza parlors, noodle bars, and cafes where you can eat for under $15 AUD ($11 USD). Melbourne is probably the best place to eat cheaply in Australia, especially if you like Asian food. I’ve had some of the best sushi experiences here. However, expect to pay around $20 AUD ($14 USD) for most sit down restaurants meals (without a drink). There is also a lot of wine in this region that is very affordable. A week’s worth of food is $65-100 AUD ($46-71 USD) for basic groceries like pasta, vegetables, chicken, and other basic foodstuffs. Grab and go places cost around $8-10 AUD ($6-7 USD) for sandwiches. Fast food (think McDonald’s) is around $15 AUD ($11 USD) for a meal. On a backpacker budget, you can do it for $80 AUD ($58 USD) per day. With this budget, you’ll be staying in hostel dorms, cooking most of your meals at the hostel (or sometimes picking up a quick sandwich), and using the myki pass to get around on public transportation. 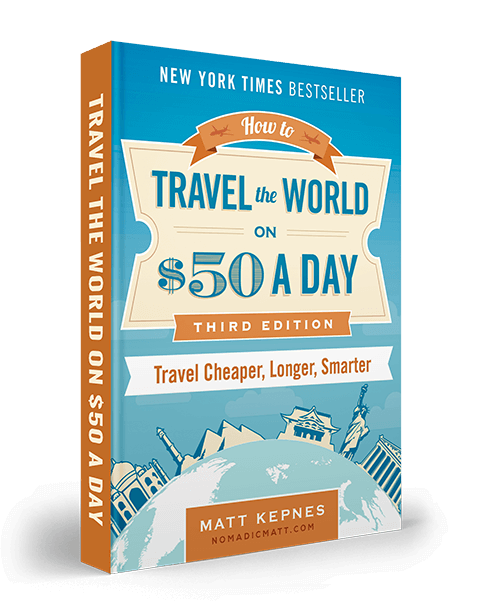 I’d add about an extra $10-15 per day if you want to eat out or drink a lot. On a mid-range budget of about $240 AUD ($170 USD) per day, you can stay in a private hostel room or at a budget hotel, eat fast food or pick up light meals (like sandwiches), have a couple sit down meals, drink more, make use of the myki Explorer card, and even enjoy some tours. 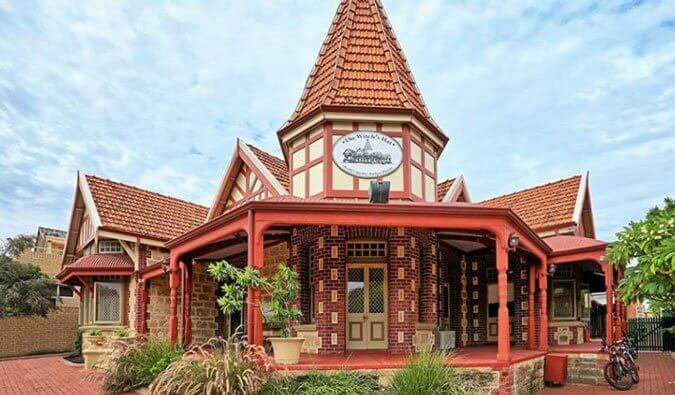 On a luxury budget of $525+ AUD ($375+ USD), you can book a room at a nice 4-star hotel, enjoy sit down restaurants for every meal, take a day tour into the countryside to do some wine tasting, and use taxis to get around the city. Get a phone plan – If you’re here for a while, the telephone company Telstra has really improved their service and offers great phone packages that have great coverage throughout the country. Their call/text rates aren’t that high either, so the credit will last you a while. Vodafone is another option. They have amazing deals (sometimes better than Telstra) too but they have more limited coverage around the country. Drink goon (box wine) – Goon is an infamous staple on the Australian backpacker trail. This cheap box of wine is the best way to drink, get a buzz, and save a lot of money at the same time. 4 liters typically costs $13 AUD ($9 USD) (compared to a six pack of beer for the same price). Drink this before you go out and save on spending money at the bar. Cook often – Eating out in Melbourne is not cheap. 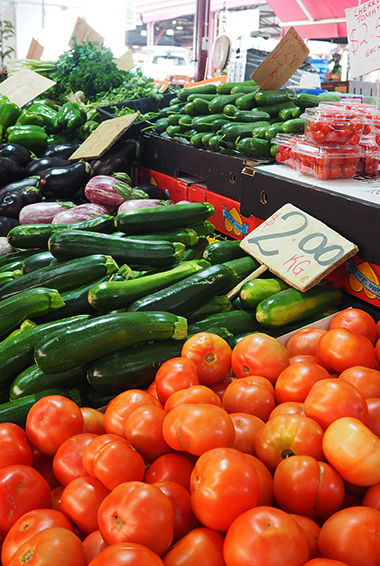 The best way to reduce your food cost is to cook as many meals as possible at your hostel. 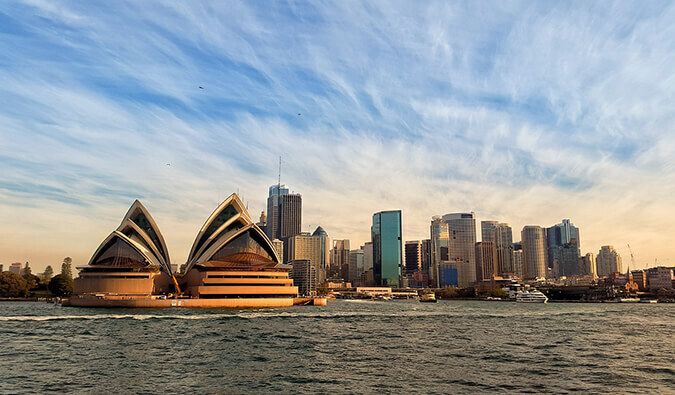 Book tours as a package – Australia has a lot of fun activities and exciting tours that will eat into any budget. If you plan on doing any tours while you’re here, booking activities together through a hostel or tour agency will get you a discount and save you tons of money. Work for your room – If you’re on a budget and looking to save some cash, many hostels offer travelers the opportunity to work for their accommodation. In exchange for a few hours a day of cleaning, you get a free bed to sleep in. 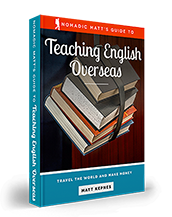 Commitments vary but most hostels ask that you stay for at least a week. Couchsurf – Accommodation in Melbourne can be quite pricey. If you plan ahead, you can usually find really a fun Couchsurfing to host you during your visit. This way, you not only have a free place to stay but you’ll have a local host that can tell you the best places to go and things to see. Fill up your water bottle – The tap water is clean and safe to drink in Melbourne. Cutting the $2-3 AUD ($1.45-$2.15 USD) for each bottle of water will reduce your daily spending. Not buying bottles of water also good environmental impact too! Use the free City Circle tram – This free hop on hop off tram has stops near most of the city’s biggest tourist attractions. Pick up a free map at a tourist info center, and get on your way! Take a free walking tour – I’m Free Walking Tours offers a handful of free walking tours to help you get oriented with Melbourne, and to learn all about its sights and history! Bus – Melbourne’s bus system travels between all major hubs like shopping centres, schools, and attractions. The fare is determined by how many zones you’ll be travelling in, starting at $3 AUD ($2.15 USD) per leg. You need a myki card (or the mobile app) to get around. You can top up your myki to get around, or you can buy a weekly, monthly, or yearly myki pass. A one-week pass costs $44 AUD ($31 USD). There’s also the myki Explorer pack, which includes one day of unlimited travel on Melbourne’s public transport system, as well as special deals and discounts on other attractions (like 20% off your admission to the Immigration Museum). This pack costs $15 AUD ($11 USD). The bus to and from the airport with Skybus costs $18.75-36 AUD/$13-26 USD (one-way vs. round-trip). Free Trams – Melbourne has an excellent Free Tram Zone in the CBD (Central Business District), stretching from Queen Victoria Market to Docklands, Flinders Street Station, Federation Square, and Spring Street. The City Circle Tram is also free, and stops at almost all of the city’s historic sites. You don’t need a myki if you’re using the free system! Bicycle – Melbourne has over 84 miles (135 kilometers) of bicycle trails, and an excellent Melbourne Bike Share program to go along with it. Download the app to find the nearest docking station, and you’re good to go! A day pass with unlimited 45-minute rides costs only $3 AUD ($2.15 USD), while a weekly pass is $8 AUD ($5.75 USD) for unlimited 45-minute rides. Taxis and Rideshares – Taxis are expensive here. Skip them. You can rideshare via several mobile apps, however, including Uber, Taxify and DiDi. For Uber, you can save $15 off your first ride with this code: jlx6v. Melbourne is a great spot year-round, and there’s always so much to do. I prefer visiting Melbourne between March to May, and then September to November. These are the shoulder seasons, and temperatures are much more comfortable during this time (with the highest being about 75°F/24°C). It’s also less touristy. The summer months from December to February are the busiest in Melbourne, seeing as how it’s Australia’s summer and so many North American tourists flock here to escape the cold. The temperatures during this time are usually in the high 70s°F (high 20s°C), but they’ve been known to climb a lot higher. Winter in Melbourne (June to August) can be quite cold and dreary, especially in comparison to Sydney and Brisbane. But you’ll certainly get the best travel deals and hotel rates during these months, so it might be worth your time anyway…especially if you’re most interested in the cafe and foodie scene. Melbourne is an incredibly safe place to backpack and travel – even if you’re traveling solo, and even as a solo female traveler. People are quite friendly and helpful and you’re unlikely to get into trouble. As Melbourne is a big city, be on alert for pick pockets and keep your valuables locked away. When in doubt, always trust your instincts. If a taxi driver seems shady, just stop the cab and get out. If your hotel or accommodation is seedier than you thought, leave and go somewhere else. Make copies of your personal documents, including your passport and ID, before you travel in case of an emergency. Also, forward your travel itinerary to friends or family so they’ll know where you are just to be safe. As a general rule, if you don’t do something at home, don’t do it when you’re in Melbourne. Follow that rule and you’ll be fine. If you’re visiting Melbourne during the summer months, be prepared to handle the high temperatures. Wear lots of sunscreen, cover yourself, and drink plenty of water. Below are my favorite companies to use when I travel to Melbourne. They are included here because they consistently turn up the best deals, offer world-class customer service and great value, and overall, are better than their competitors. Rome 2 Rio – This website allows you to see how to get from point A to point B the best and cheapest way possible. Just enter your departure and arrival destinations and it will give you all the bus, train, plane, or boat routes that can get you there as well as how much they cost. One of the best transportation website out there! 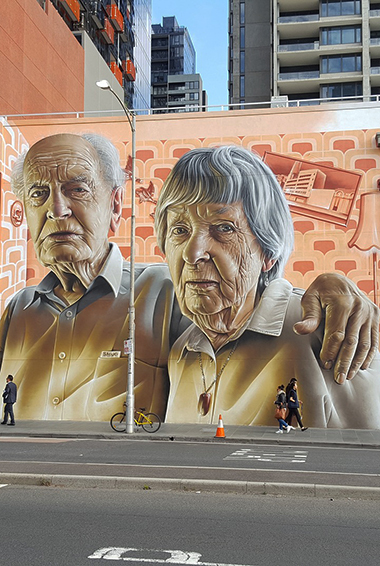 Melbourne Street Tours – I love the tours run by graffiti artists from Blender Studios. Prices start from $69 AUD ($49 USD), but they’re very much worth it! In this section, I’ll give you my suggestion for the best travel backpack and tips on what to pack when you visit Melbourne. What’s the best backpack for traveling around Melbourne? 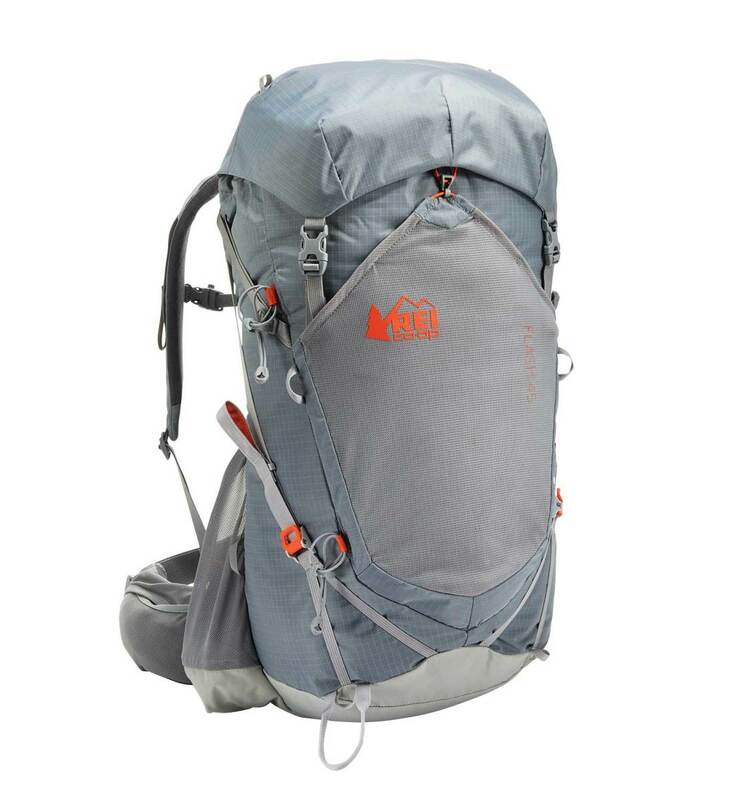 I recommend the REI Flash 45 Pack. It’s light and comfy, front loading, and fits perfectly in an airplane’s overhead bin. It’s hard to pick just one book by Bill Bryson that’s good, because they all are. He’s one of the most prolific and recognized names in travel writing. 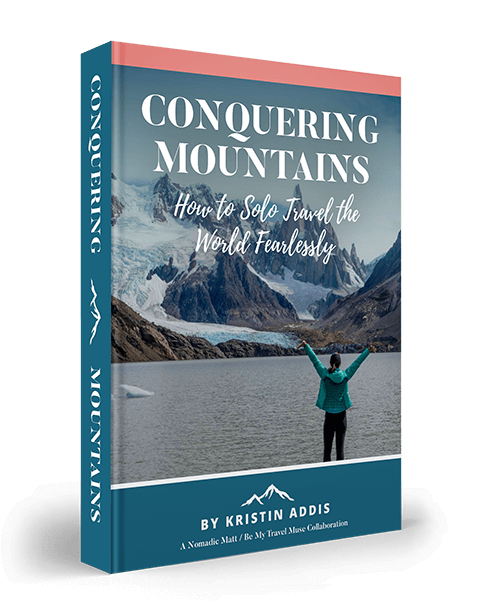 This book chronicles a journey through Australia and takes you from east to west, through tiny little mining towns, forgotten coastal cities, and off-the-beaten-path forests. 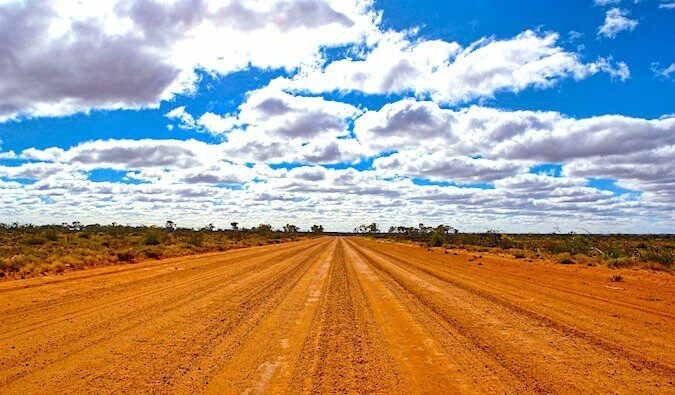 Bryson includes lots of trivia in his tale as he travels around in awe — and sometimes in fear (thanks to box jellyfish, riptides, crocs, spiders, and snakes) — of this enormous country. 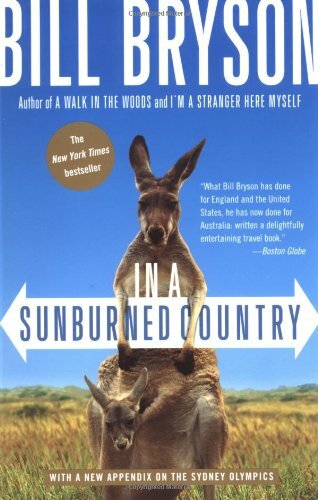 This is the book that inspired me to go to Australia. This is an Australian classic, originally published in the 70s, which follows the epic saga of a family living in sheep country in the Australian Outback. 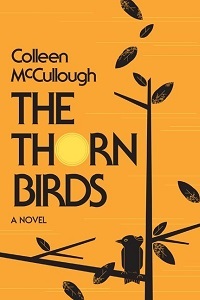 The story focuses on two main characters: Meggie Cleary with her forbidden love, and Ralph de Bricassart – a parish priest whose passion for Meggie haunts him. Even if this isn’t your type of book, it’s a really awesome insight into life in the Australian Outback (especially during the 70s). Irene Bob loves to drive fast, and her husband is the best car salesman in southeastern Australia. Together they decide to enter the 1954 Redex Trial – an endurance drive that circumnavigates the entire country. Willie Bachhuber, a failed schoolteacher, joins them. If they win their lives will be forever changed – but first they’re led out of the comfortable Australia they know so well and into an unexpected adventure full of twists and turns. 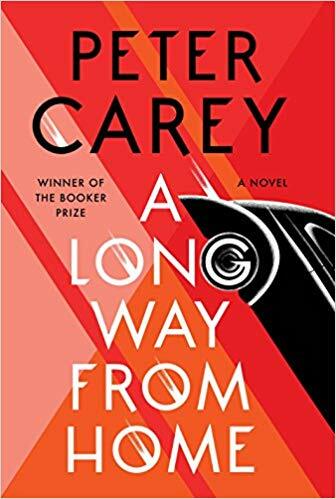 Peter Carey is a two-time Booker Prize winner, and one of Australia’s most well known writers. Read this book! 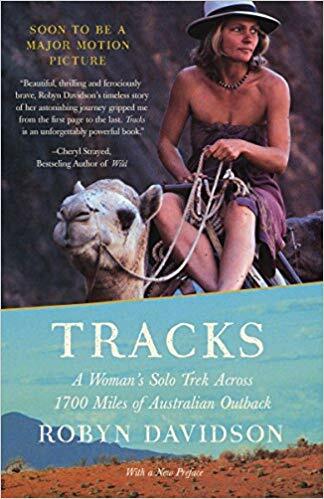 This is Robyn Davidson’s memoir of her incredible journey 1,700 miles through the Australian desert to the sea, accompanied only by four camels and a dog. Davidson fends off sweltering heat, poisonous snakes, and dangerous men – all while wrangling her temperamental camels. It’s definitely one of those transformative stories that allows you to get super invested in the author as well as the severe Australian desert landscape. It has also been made into a great documentary! You can’t come to Australia without learning a little bit about the country’s Indigenous Australians. This is part travelogue and part autobiography, and one of Chatwin’s most famous books. 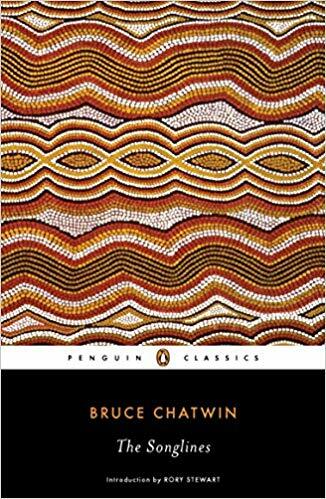 Here, Chatwin searches the Australian Outback for the source of the Aboriginal “dreaming tracks,” the invisible pathways from which the Aboriginals’ ancestors sang the world into existence. The Songlines was an instant best-seller when it was published, and nowadays it’s a classic.